Layer it up and work it out. 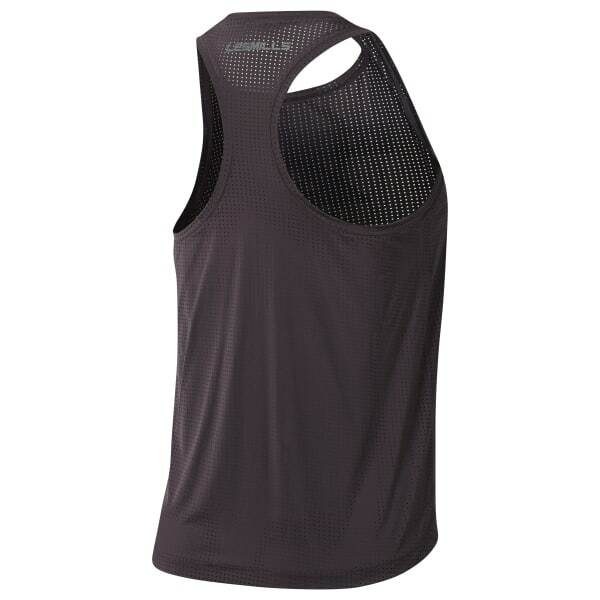 Wear this stretchy tank top at your next workout session for cool and comfortable performance. Speedwick technology wicks sweat and keeps you dry. A higher neckline and shaped hem add coverage in the studio and the racerback construction adds arm mobility for every move.